1. 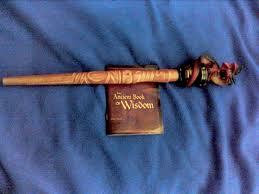 The technology in the wand is NOT RFID. It behaves a lot like RFID, but it’s a proprietary technology that includes infrared and a chip. 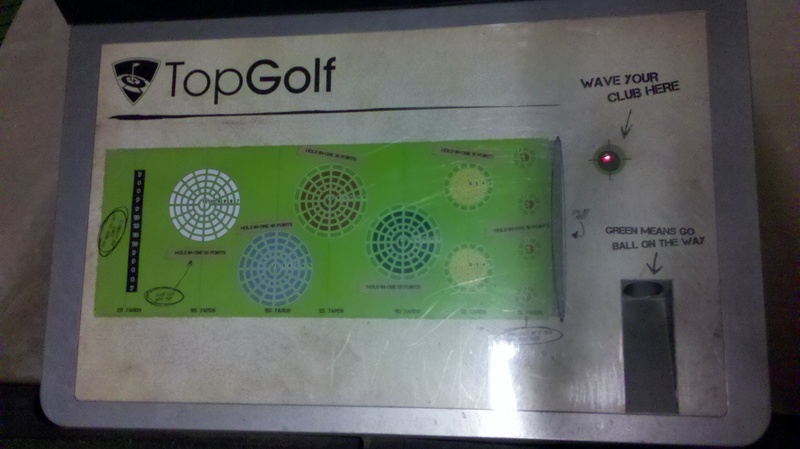 The chip is programmed to the user and keeps an ongoing history of the user, not the wand. This is important because if someone loses their wand, they can easily get a replacement and have it re-programmed to their user history. According to my discussion this morning, the primary reason that RFID was not used in the wand was proximity. The game-makers wanted the wand to work within proximity, not through touch. Infrared has a wider range than RFID. The technology here isn’t important. What is important is what the technology enables – a personalized experience that continually drives you deeper into the brand (in this case, the game). This particular technology is smart enough to keep a running history of personal achievement. That’s cool. And that’s the power of what any sort of interactivity provides in this blank canvas called Out-of-Home. 2. Active RFID is a whole different ballgame than passive RFID. 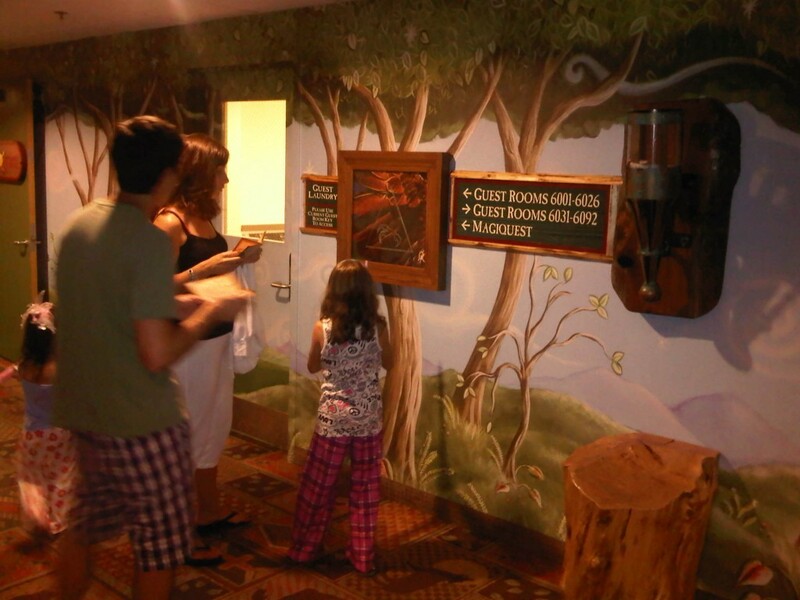 All of the RFID that I experienced at Great Wolf Lodge is passive RFID. In yesterday’s post, you can see how powerful it is. Active RFID enables some cool things in this environment, particularly around tracking and safety. If those wristbands were active RFID, they would essentially become tracking beacons that could show where anyone was on the property at any given time. At a resort like this, can you imagine how easy it would be to find a lost child or a lost parent? It has a lot of advantages and it’s something that GWL continues to explore. Thing is, active RFID requires large antennas to pick up the signals. So, you can imagine what kind of operational challenges this presents.Being a theme-park, they have options. Turn them into large trees? It could happen. 3. They are always looking to innovate. But they don’t want to add something on that doesn’t utilize the existing technology. They want to make sure it works with what’s already going on. I was glad to hear that they are constantly looking for ways to innovate, but this whole thing didn’t surprise me. A large business like this would be foolish to not filter additional technology through what they’ve already got. And for GWL, who purposefully wants to provide an unparalleled level of convenience to their guests, they don’t want to risk complicating the experience by latching on to the latest, greatest. 4. Digital signage is not important to them. There are posters everywhere. They line the hallways. They’re in the usual places like elevators, the lobby, and the waterpark. I think digital signage could help in some places – menu boards or waiting in lines (for rides) – but other than that, I don’t think it makes sense. GWL is obviously a closed-in space, so they don’t advertise anything other than what’s going on in their own house. What they have now – lots of static posters – is just fine for them. I think if they felt confident in a way they could use digital signs with their existing technology, and it added a tremendous difference in value to what they already have – they’d explore it even more. All of this technology and the entire experience it enabled just inspires me even more about the potential of creating solutions outside of the home. There are many ways to achieve different levels of interactivity, but the interactivity is the thing. It can make experiences easier, or better, or more convenient, or more fun. Thing is – it’s an experience. 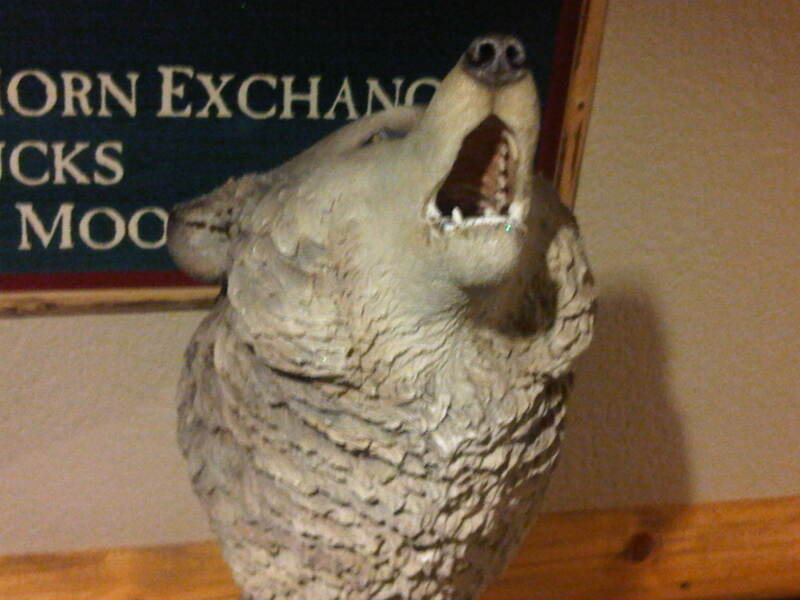 And if you’re into this sort of thing, you can find one at Great Wolf Lodge. 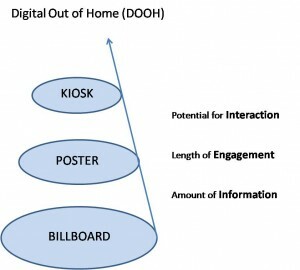 This entry was posted in Emerging Technology, Marketing and tagged 11th Screen, Digital Signage, Great Wolf Lodge, Interactive Out of Home, OOH, Out of Home, RFID on 04/27/2011 by Mike Cearley. 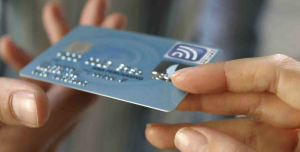 RFID technology is great for utility. Walmart uses it to track inventory. Companies use it to allow employees access to parking garages and office buildings. Hotels use it for the same, and even enable purchases through it (more on that in a bit). For utility, it’s a smart & efficient technology. But how many times have you actually seen RFID used to create experiences? The only two I can think of are Mini’s customized billboard messages and The Great Piggy Bank Adventure at Epcot Center. For whatever reason, it’s a hard technology to implement at scale. (The technology is relatively cheap now – not a huge barrier – but it requires multiple pieces of hardware to work. And proximity plays a part, too.) But it sure can do some cool things. Right now, on my family vacation, I’m seeing, firsthand, another one of those examples. My family and I are vacationing at Great Wolf Lodge in Grapevine. I’ve heard stories about how they use RFID for everything here, but I’ve never made my way out to check it all out myself. Until now. Those stories are true. They use it for everything. And it fulfills a utility need as well as an experience one. 1. Room keys – this wristband is our room key. You see that little chip there, behind the “M”? Well, that’s the thing that gives us access into our room. 2. Locker keys – this place is an indoor waterpark more than it is a hotel. So, anytime you want to reserve a locker, you don’t have to carry around yet another key that comes with all of the same anxiety as the room key. You just use your wristband. Done and done. 3. Payments – want to pay for food? Souvenirs? Arcade games? No problem. Just put some money on your wristband via a kiosk and a credit card and viola, you don’t have to carry around any cash. 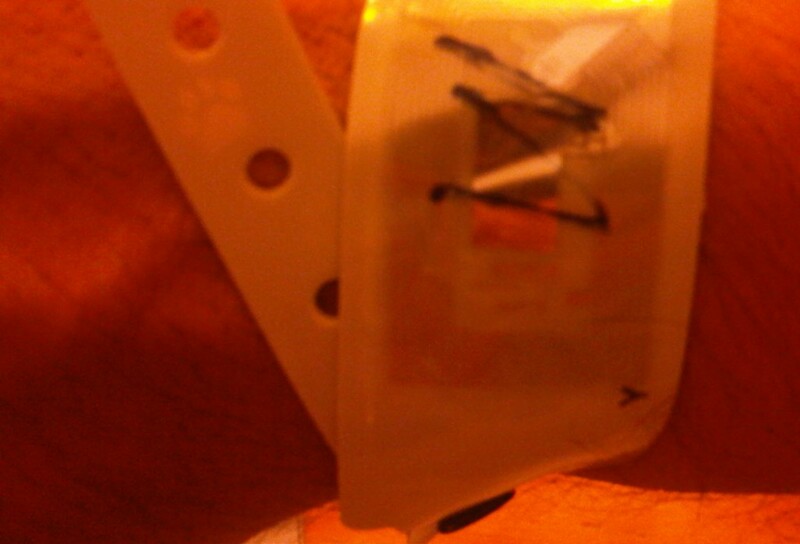 Everything is tied to this wristband. Literally, everything. If you want to carry cash around with you or for whatever other reason, you don’t want to put cash on the wristband, you don’t have to. You can do it old school. But through this technology, you have the option of ultra convenience. These three things encapsulate everything I’ve had to do throughout the course of our day here, and it has afforded us an extra piece of mind that we didn’t know existed. We haven’t had to carry around and/or keep track of anything all day long. It’s attached to our wrist. They have this game called MagiQuest inside the resort and when people aren’t playing at the waterpark, they’re running around the hotel playing this game. The wand is where the technology comes into play. It’s programmed to your “account” and as you make your way through the game, you build up points and achievements. This is not only important because it adds a level of personalization to the game right off the bat, but since this is an ongoing game, this technology enables an ongoing history. As long as the wand stays with you, regardless of how long you play the game, it’s going to build upon what you’ve already done. I’m sure the kids playing this game (and even most of the adults) could care less about the technology (much like my wife). No one ever hardly does. But the important thing here revolves around expectations. With the proliferation of platforms like Facebook and Pandora that allow you to personalize your experience down to the T, I feel like the millennial generation expects a certain level of personalization in everything they do. Although these kids could care less about the technology, I would argue that many of them would feel like it’s “lame” if it didn’t keep track of everything they did along the way. This level of personalization is table stakes. This technology enables that personalization for them. 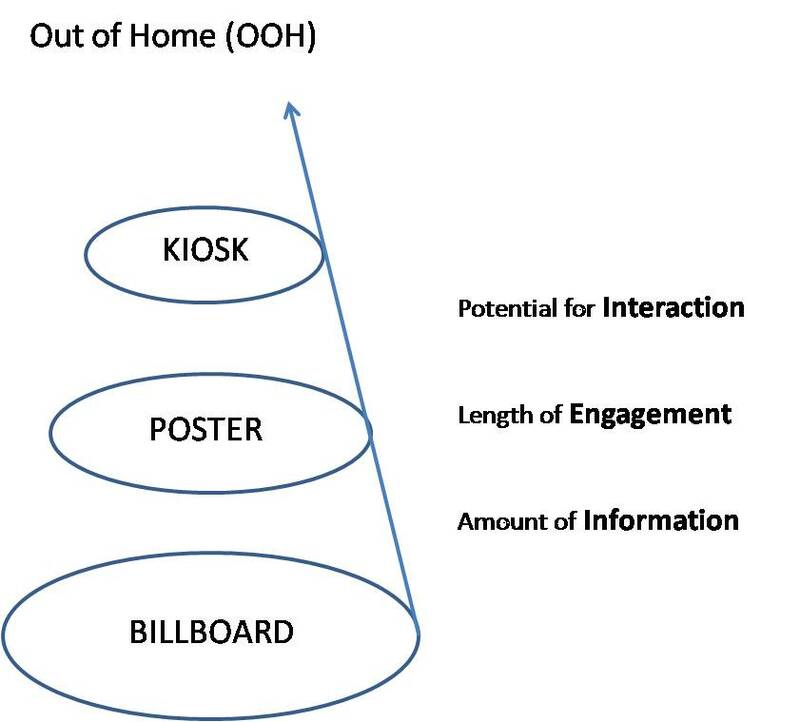 This is an ideal 11th screen example – an Interactive Out-of-Home (IOOH) homerun, if you will. RFID is the enabling technology that serves a critical function in the resort and patron operation (utility). It saves everyone time, money and anxiety that you didn’t even know you had. In addition, it enables a deep and rich experience – one that is personalized – through this wand, other objects (static) and screens (digital) throughout the resort. 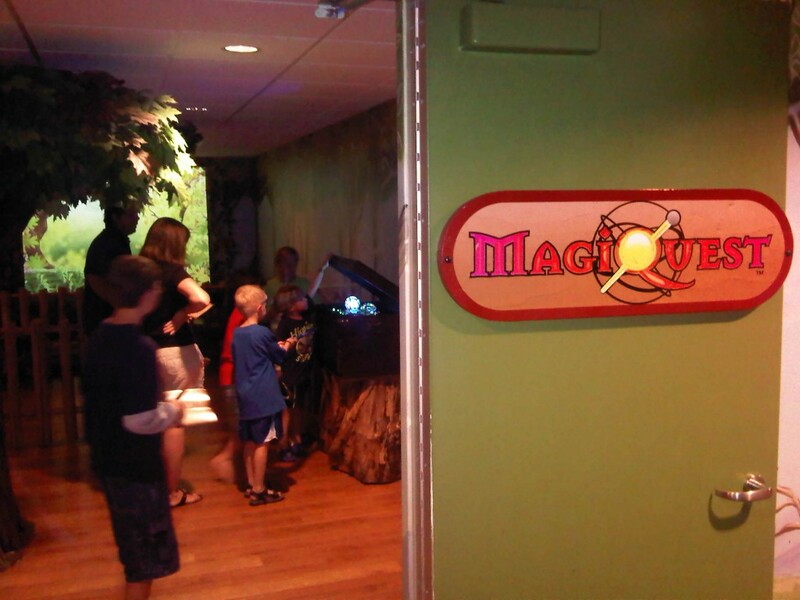 This entry was posted in Emerging Technology, Marketing and tagged 11th Screen, enabling technology, Great Wolf Lodge, Interactive Out of Home, IOOH, MagiQuest, Mini, RFID on 04/26/2011 by Mike Cearley. Leave it to MINI. Again. These guys are at the forefront of using emerging technology to connect with consumers. First, they created real-life LA Story talking billboards through the use of RFID. Then, they created a real-life/virtual world game of chase through the use of Augmented Reality. Now, they’re taking a simple approach – yet just as unique – with QR codes. Only to drive to a different Augmented Reality experience. How would you launch the all new, bigger MINI Countryman? How about a big QR code? Like bigger than anything in the ad. Here’s the thing about MINI – from my perspective, nothing is a mistake. Or an afterthought. It’s all purposeful. Here, they didn’t just oh-by-the-way-stick-a-qr-code-in-the-bottom-corner-of-the-ad. They made it the ad. And for those who don’t know what this is, they give directions. And for those who don’t want to scan the code, they give another way to get to the information. And for anyone else – those who wouldn’t even want to take part in the complete experience – this campaign, this app, and ultimately this brand is probably not for you. These guys are smart. They’ve gotten some insight that their target audience has a high propensity to engage through various mobile technologies – even more, that their target is not constrained by location, they like to be on the go, and are early adopters. Can you imagine this out of the MINI owner? I can. And to their credit, MINI goes full tilt. I think there are many ways to connect with consumers when they’re out and about, not in front of their computers. More and more, this is a mobile world, and I’m not talking about a mobile-phone world (although we are) – mobility is a way of life. So, being able to connect with consumers while they’re on the go, in various ways – especially through enabling technologies like this – will become more and more critical for brands to figure out. MINI’s making it easy for everyone else. This is interactive out-of-home. Where experience masterpieces happen. This entry was posted in Emerging Technology, Marketing, Mobile and tagged Augmented Reality, enabling technology, Interactive Out of Home, Mini, Mobile, QR Codes, RFID on 03/03/2011 by Mike Cearley. Happy Friday, everyone. Hope your week has gone well. Mine has been crazy and today is no different. It’s been a good week, (sometimes you have bad weeks, sometimes you have good weeks – it was a good one for me) one of those where I feel like I’m in the zone for most of the week, doing “good” work, thinking of “good” things, producing top quality whoosits and whatsits, making cool “stuff.” So, today’s theme is all about quality & cool – striking that balance is difficult, but when done, man, it produces good work. 1. Mini’s at it again with “reality gaming” and their Getaway Stockholm campaign – this OOH campaign involves people, virtual Minis, geo-location, mobile and gaming. I consider it OOH because everything happens out of the home. It’s an experience where you don’t have to be in front of your computer sitting in your house or office. 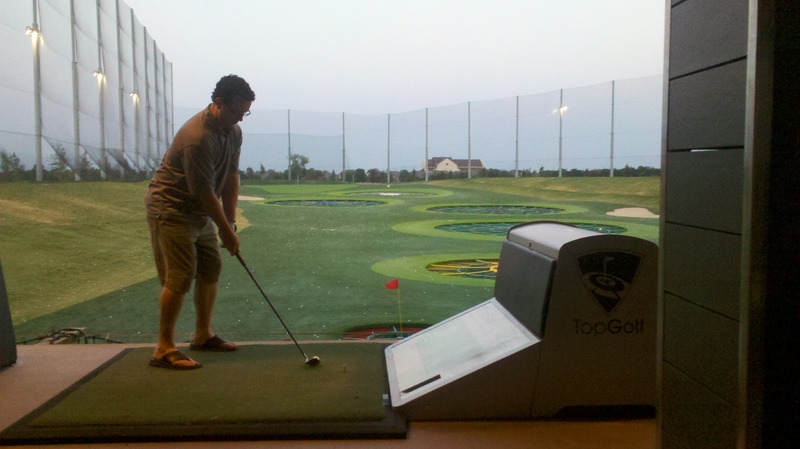 It leverages the wide open spaces of the outdoor and creates a game around it all. It’s really awesome. 2. Now you can “Like” a brand through a QR code – there’s been a roundabout way to use QR codes to get people to “Like” your brand in the past (open up their Facebook page and allow people to “Like” it there – it’s clunky), but now it’s as easy as downloading a QR code reader app on your phone, opening it up, and snapping a picture of it. If you know what a QR code is (whichI have to say, I’m seeing/reading about them every single week now, so that’s a good thing), Likify has now made an app that can direct you straight to “Liking” your favorite brand. Nifty. 3. Loyalty cards 2.0 brought to you by Novitaz – this is cool….if you’re a shopper. You get a credit card-style loyalty card with an RFID chip in it. When you’re in a store that has the sensors in it, it sends a message to your mobile phone, alerting you of the special deals of the day. And best, when you buy, there are social hooks in the platform so that you can share what you just bought with your social community. Cool, and definitely the wave of the future. 4. Shoppers Take a Nonlinear Path to Purchase – carrying on the shopping theme, I thought this article was interesting, although not surprising. Consumer shopping habits are changing, particularly with the introduction of so many new technologies – mobile and social being top of the list. Mobile is big in helping consumers make purchasing decisions. Social is big, too. Although it’s a great takeaway that “social” does not equal “digital” or better yet, “Facebook.” Social is word-of-mouth. And the overwhelming majority of word-of-mouth activity happens “offline.” But can happen over the mobile phone – you know, that thing where people actually talk to each other on the phone. Yeah, mobile phones are good for that, too. Interesting that “digital signage” is not mentioned anywhere in here at all. Hmm. “Uh-huh” – The Future of Advertising is about “Making Stuff” – Cindy Gallop, founder-CEO of IfWeRanTheWorld, talks about the real value in execution, not ideas. Amen, Cindy. As someone who is responsible for the execution arm of our agency, I can tell you firsthand how important quick, quality execution sets agencies/people apart from each other. “Duh” – Read above. Not to take the easy way out here, but it’s an important thing to call out and a no-brainer at the same time. I mean, I am looking at it from the standpoint of “making stuff” everyday, but you’d be surprised how many people “talk” about stuff vs. “make” stuff. I’m a maker. Not a talker. Hope it always stays like this. I like makers much more than I like talkers, unless of course, if you’re one of my talker friends! This entry was posted in Friday 4-1-1, Mobile and tagged Facebook, Friday 4-1-1, geo-location, Mini, Mobile, OOH, QR Codes, RFID, Social on 10/22/2010 by Mike Cearley. Nanonation – these guys are big time. Software providers. They developed the software that runs the Greenopolis (Best of Show, Self Service Excellence Awards) kiosk (more on this solution later). They have software to serve the enterprise level and they just developed software to serve the “lite” level. DigiKomp – These guys are in the hardware business. But instead of showing up with kiosks or large digital screens like veryone else, they stole the show (in my mind) with these small (320×240) LCD screens that they call “the last nametag that you’ll ever have to get.” They’re sweet. Basically, really small, really sharp looking digital frames. They play .jps, .avis, .mp3s. Battery life of 12 hours. I bought one. But didn’t take it with me because I didn’t have the cash. The ATM was far from the convention center and I never made it back. I’m going to follow through with my purchase. Just to have it. RFIDeas – I got a little bit of an education on RFID from these guys. My biggest takeaway – there are 3 “levels” of RFID (I really don’t know the right nomenclature): proximity, HF (High Frequency), and UHF (Ultra High Frequency). The Mini key fob/billboards used UHF. These guys deal primarily with proximity – think of the security cards that allow you to go in/out of your workplace/parking garages/etc.. My 2nd biggest takeaway – they don’t think of anything for marketing/engagement purposes. When I told him why I was interested, he looked at me like I had 3 eyes. All good. He gave me knowledge, which is all I want. There were others that I heard were good, but really of no interest to me. I think it would be cool to get creative, developers, software providers, hardware providers at one of these things and over the course of 1 or 2 days, get them to actually make something right in front of our eyes so we can see the true capabilities and something worthwhile come to life. Then, we would really find out the strengths of all of these companies. And to me, that’s the whole point. This entry was posted in Uncategorized and tagged Conferences, DigiKomp, Digital Signage, Greenopolis, Kioskcom, Kiosks, Nano Nation, RFID, RFIDeas on 04/15/2010 by Mike Cearley. I’m a little bit late to the game because this particular solution has been out for quite some time. It’s worth more attention, though, albeit not-so-timely. These boys know how to do it. True 11th screen material. They built the world’s biggest multi-touch, multi-user wall at a race track complex in Germany. I’ve developed a guide that helps me look at solutions like this – 11th Screen solutions, if you will – in a consistent manner. It’s not a measurement tool, by any means. It’s not designed as a magic formula to produce quantitative results. It’s simply designed to help me look for the same components across all kinds of IOOH (11th Screen) solutions. It’s my attempt at leveling the playing field in an area where the field is far from level. For each “criteria,” I simply give a PASS or FAIL. So here, we’ll use the Ring Wall to inaugurate the official 11th Screen perspective. Understand that I have not interacted with the wall in person. I’ve only watched demonstrations. My comments about the wall are made entirely from observation. Here, the Ring Wall looks like one big awareness machine. It enables many users to experience information, but it’s the same information for every user. There is no “deep dive” for data capture, personalization, or even an extended experience. 11th Screen Score: If the objective was awareness, I don’t know how they could have done any better. Taking that assumption into account, they PASS. The Ring Wall has an immense amount of drama. First of all, it’s huge, the largest of its kind. Second, gesture-based technology allows content to move with the user as they walk by, engaging them without even a touch. I think where it falls short, if any place, is providing the user a clear call-to-action. It might seem simple to have a big “Touch Me” call-to-action rolling throughout, but I think intimidation is still a big barrier with acceptance and use of most touch screen installations. The clearer you can be with the action you want the user to take, the more success you should have at breaking down that barrier. 11th Screen Score: I don’t know how much more dramatic one can get. PASS. The biggest killer to any touch screen installation, once the user starts interacting with it, is not knowing what to do and/or how to get to the desired information. It’s critically important that foundational elements like content grouping(s) and navigation hierarchy are intuitive. Herein lies the challenge though. Old website standards are most often not applicable because interaction in this medium is so open, non-linear, and tactile. Navigating a website with a mouse on a computer is different from navigating a website with your finger on a touch screen. It’s vital to understand the audience when concepting and creating an experience like this. You and I might be able to walk up to this wall and use it effectively, but would our mom or dad? 11th Screen Score: It’s hard to give a definitive score in this category without touching it and using it myself. From the interactions I can observe, it looks to have a good user experience, thus PASS. The Ring Wall is both gesture-based and touch-based. When the user walks by, the wall seems responsive. When the user touches the screen, it also seems responsive. 11th Screen Score: Again, it’s hard to give a definitive score in this category without touching it and using it myself. From everything I can see, PASS. Information – How much and what kind of content is available for the user to interact with? A system like this is set up to be an endless well of content. I think this is good as long as the user isn’t overwhelmed with that content, meaning they don’t have to see everything “behind the curtain.” Let them know what they’re going to expect and how to get there and leave the rest to them. Drive them deeper into the experience instead of away from the experience. A critical element of this is the type of content in the experience. The Ring Wall includes a good combination of copy and rich multimedia content (images & video). And the video looks like it plays fluidly. 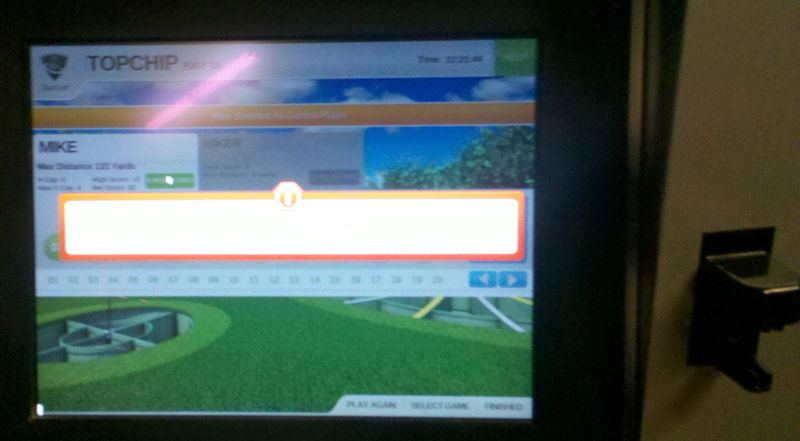 11th Screen Score: There looks to be a deep well of information for the user to interact with in one experience. PASS. In my observations over the past few years, this is the one area that I am the most underwhelmed with. The opportunity that we have in this medium, and really the opportunity that I feel has been the least capitalized on, is the level of personalization to the experience. On the surface, any multi-user touch screen includes a level of personalization that allows each user to have their own, unique experience. But on a deeper level, the content is the same for every user. The opportunity that I see is for all of that content to be customized for each user. Simply put – everyone sees what they want to see, even if they don’t know what it is they want to see. And they don’t see the stuff that doesn’t matter to them. This level of personalization requires some level of data gathering from the user, which is always touchy, but can enhance an experience greatly. Perhaps another way to look at this is ‘does it account for various stages in the relationship process?’ Does it accommodate someone that is interacting for the 1st time? Or the 3rd time? Or the 30th time? Here, the Ring Wall doesn’t seem to have any personalization built into the experience. It treats everyone the same, whether they are interacting with it for the 1st time or the 30th time. There is an opportunity to personalize each experience, though – be it through a couple of “preference” questions or a higher level of technology like RFID, each user could have an experience most suitable for them. Overall, I just think this is awesome. Major kudos have to be handed out, not only to the development team, but to the clients themselves. They get it. To take the leap on technology like this (both hardware and software) is remarkable, not to mention that the decision was made a year and a half ago, well before the idea of DOOH and/or IOOH was halfway mature, certainly on this scale. It’s combinations like this, with both forward-thinking marketers and clients, that are going to create a new level of interacting with each other and our physical spaces around us that is the norm instead of a novelty. What do you think of this thing? By “thing,” I really mean the wall, but I’d love to know your thoughts on the scorecard, too. Do you feel like anything needs to be shaped differently on it? Added to it? Just like the space we’re in, I expect it to evolve as we look at other solutions. Comments gladly accepted. 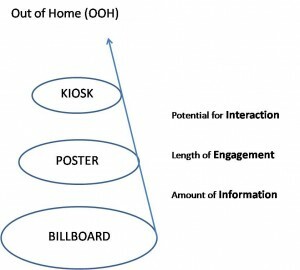 This entry was posted in Digital Signage, Emerging Technology and tagged 11th Screen, Digital Signage, DOOH, emerging technology, enabling technology, IOOH, RFID, The Ring Wall on 02/01/2010 by Mike Cearley. The 11th screen is a multi-piece puzzle. But to me, there are two key pieces. The first key piece is what I previously talked about – bucketing technology into “screens” based on HOW we consume and engage with media. The second key piece is just as important and that is WHERE we consume and engage with media. Any experience that occurs outside of the home that does not require the audience to own the device, medium or platform from which the experience originates. When I talk about “OOH”, this is what it means to me. My basis for everything here will be grounded in this, specifically this part: does not require the audience to own the device, medium or platform from which the experience originates. 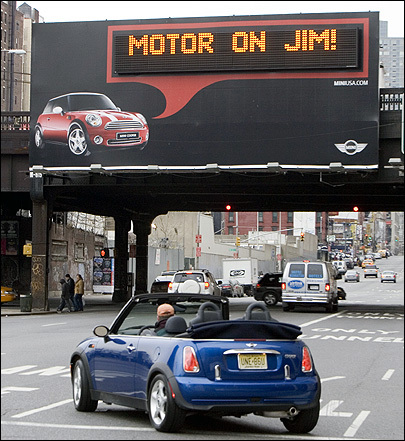 Mini served up messages to people driving on the highway (out of their home) on digital billboards (platform that they didn’t own). Microsoft created experiences in retail stores (outside of the home) on interactive tables (device that users don’t own). Now, to me, there’s another key piece to this puzzle and that is the piece of personalization, which really gets to the core of my focus. The way this personalization happens is through the use of technology, specifically through the use of what I’m going to call enabling technology. Like RFID. Like touch screens. Like mobile phones. This is where the lines start to blur, which we’ll experience more and more, but the point is – this sort of technology enables an otherwise static experience to be “personalized” on some level. So, to personalize their billboards, Mini used RFID chips that were “assigned” to individuals and when that individual drove by an otherwise “digital” billboard, they received a personalized message. Technically, the audience owned the RFID chip. They had to have that in order to receive the personalized experience. But they didn’t own the digital billboard from which the experience originated. 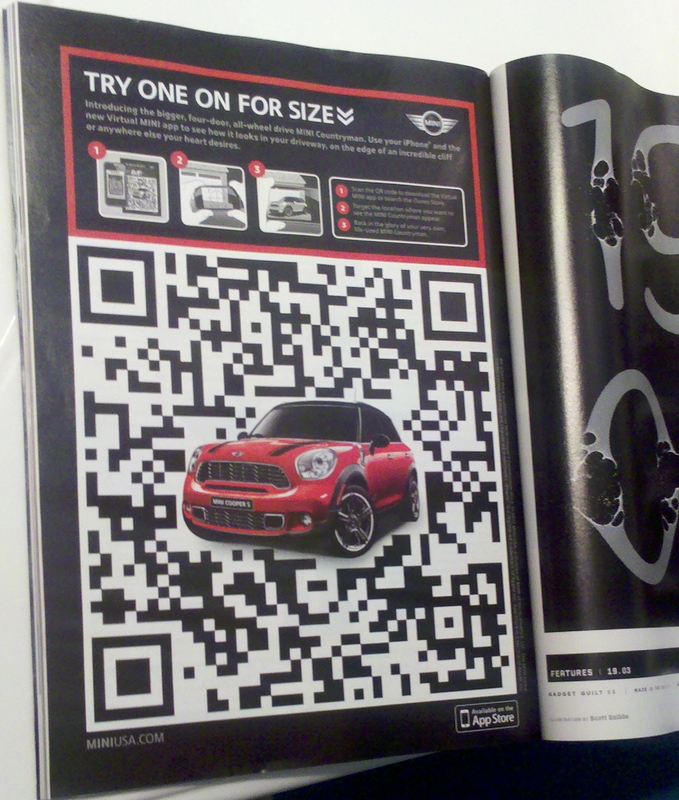 Let’s look at the Spore/QR code example, though- here’s where the mobile phone piece of this puzzle comes into play. 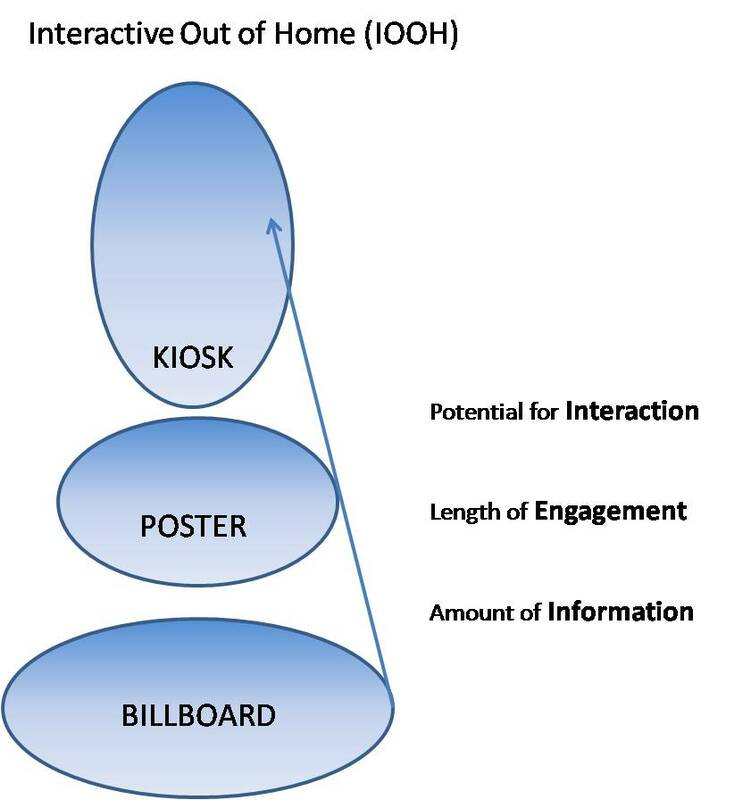 There are more and more OOH initiatives that are personalized through the use of mobile phones as the enabling technology. 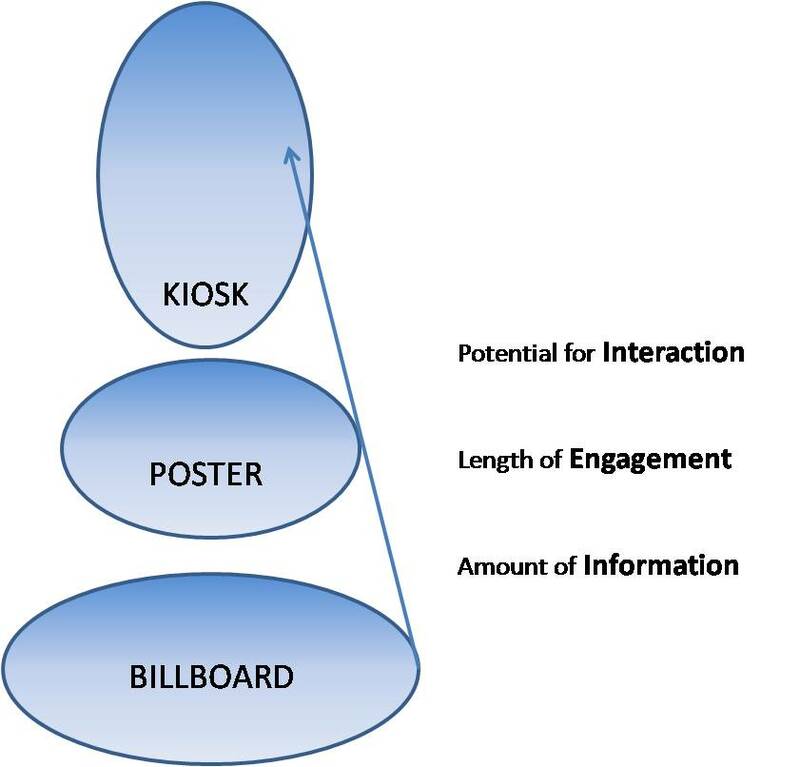 On this example, the audience didn’t own the poster from which the experience originated. But because there was a QR code on the poster, they were able to interact with it through the use of a device that they owned, and as a result, received a personalized experience. On the other hand, users interacting with the MS Surface don’t own the device, nor do they need to own anything else to experience that level of personalization. Personalization, to a certain extent, is inherent in multi-user touch screen devices. 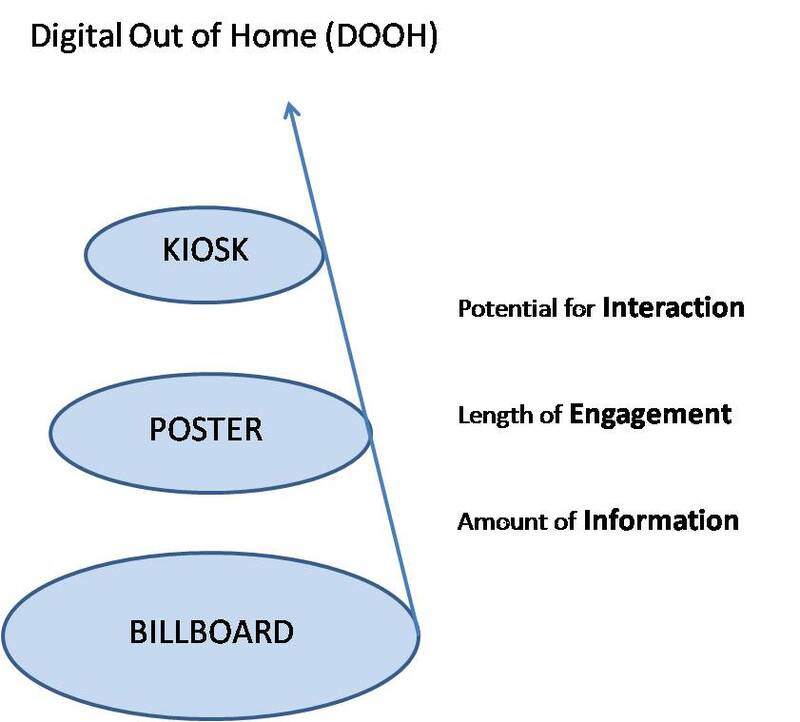 I think this one of our first big challenges – to understand the difference between “Traditional” and Digital OOH that is made interactive and true Interactive OOH. Specifically, the impact that this difference has on us and the brands that we represent as engagement agents. We know people are spending more and more time outside of their home. They’re engaging with media (and their surroundings) in a way that they have never engaged before. So, it’s important to engage with them in meaningful ways while they’re outside of their homes. But is there a more effective way to do this over another? 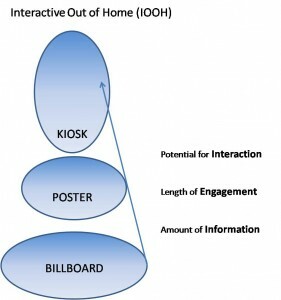 Is it more effective to engage people through Traditional or Digital OOH made interactive or Interactive OOH? Aside from creating an experience where the audience doesn’t have to own anything to have a personalized experience, I don’t think it does. What’s the one thing that all of us won’t leave home without? Our mobile phones. So, if we’re using mobile as an enabling technology, what’s the difference? Perhaps the real question is, is the brand driving individuals as “deep” as they can through their OOH initiatives, whether it be through a “native” Traditional, Digital, or Interactive experience? Are they creating personalized experiences? Are they putting all of the pieces of the puzzle together? 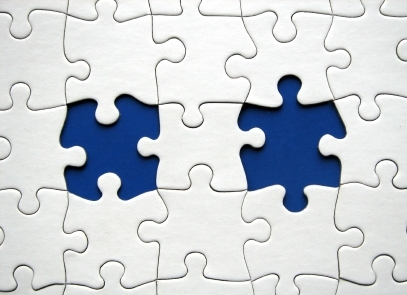 What examples have you seen that effectively put all the pieces together and create personalized OOH experiences? This entry was posted in Uncategorized and tagged 11th Screen, DOOH, enabling technology, Mobile, OOH, QR Codes, RFID on 01/16/2010 by Mike Cearley.